Born in Warsaw (Poland) in 1982, Lukasz Swiderek tells that at the age of six he had already been to his first MotoGP™ race at Brno. He had an early love for the bikes and also an early start with his work. 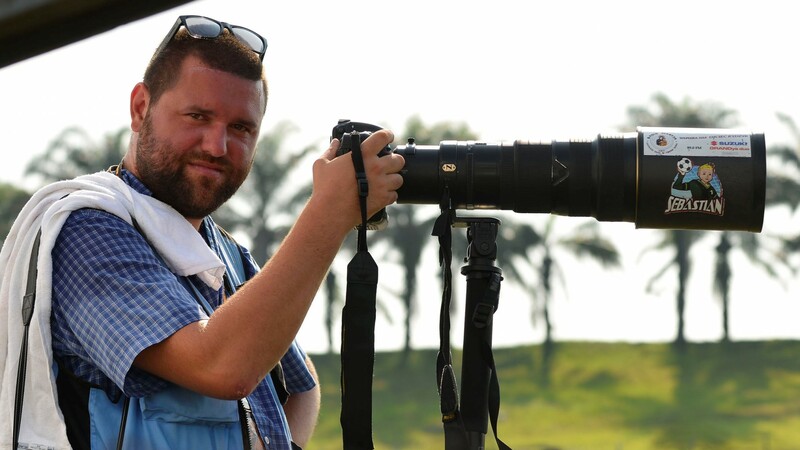 In 1999, at the age of 17, he began working for the Polish version of the monthly MOTTORAD as a photographer, covering both races and motorcycle tests. Since 2003, Swiderek has been permanently accredited to cover MotoGP™ and WorldSBK championships, working for Sport-Bikes Magazine, L'Equipe, the FIM and several leading companies that sponsor motorcycling races. He is currently the owner of the PSP agency that Stan Perec founded in 1979. "This is one of the photos in my` Wow' folder. 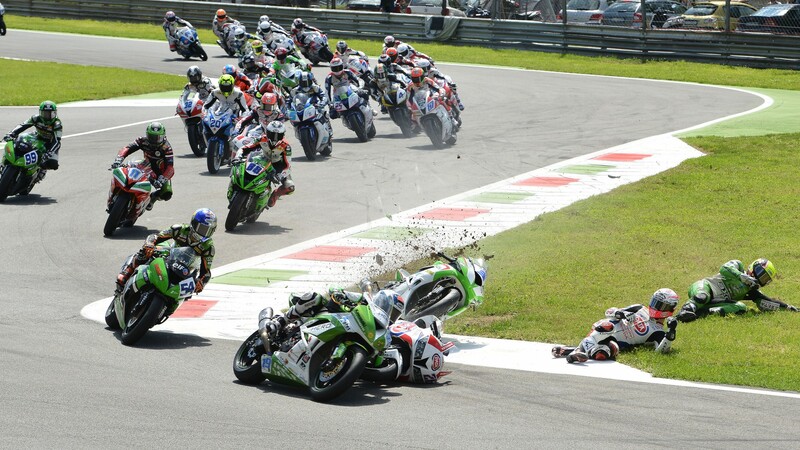 It's taken at the Monza circuit in 2013, it's the Supersport race. This race was crazy because there were three red flags in the first round, so there were four starts. Florian Marino and Lorenzo Zanetti, who are here on the ground, both finished on the podium! The photo was published in the Sport-Bikes magazine, in France. "